In this quirky romantic comedy about love and fate, a young greeting card writer (Joseph Gordon-Levitt) is hopelessly, helplessly searching for the girl of his dreams ... and his new co-worker, Summer Finn (Zooey Deschanel), may just be "the one." But the 500 days of their offbeat relationship reveal (in no particular order) that the road to happiness can be unpredictable, uncontrollable - and unbelievably funny! $834.501 thousand on 27 screens. For an unusual take on romantic relationships, we head to 2009’s (500) Days of Summer. Greeting card writer Tom Hansen (Joseph Gordon-Levitt) meets new executive assistant Summer Finn (Zooey Deschanel) and immediately falls for her. She shows an interest in him as well, but she doesn’t believe in love and keeps Tom at arm’s length; while she’s willing to fool around and spend plenty of time with him, she continues to avoid the concept that they’re a couple. And that vexes Tom. He views Summer as “the one”, but she can’t/won’t take the emotional plunge. 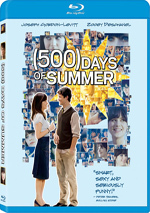 The film follows the 500 days of their relationship, as Tom experiences a wide range of emotions due to his connection to Summer. How you react to that odd opening will probably influence what you think of Days. If you think it’s clever and inventive, you’ll likely enjoy the flick. If you think it’s precious and annoying, you’ll probably dislike the movie. Lump me into the latter category. I went into Days with interest. The movie earned consistently positive reviews, and I liked the lead actors. As such, I saw no reason not to expect a pretty enjoyable experience. Alas, I didn’t count on the sheer boredom on display here. Over the titular 500 days, it doesn’t seem like much happens. Tom and Summer smooch a bit, go to movies and coffee shops, and visit Ikea. 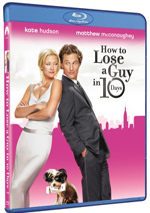 She dumps him – he tries to get her back. Blah blah, yawn and snore. I understand what Days wants to do: it aspires to give us a take of how real relationships work. 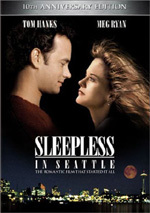 It seeks to deflate the standard Hollywood view of romance and throw out something closer to real-life. However, it goes about this in an odd way, as it features far too many cinematic flights of fancy. This means that the flick goes with a variety of methods to indicate Tom’s mood. For instance, when he finally nails Summer, his walk to work turns into a big musical number. This undercuts any attempts at realism. Not that Days would work better if it abandoned the quirky elements. While I appreciate the movie’s desire to show the realities of relationships, that doesn’t make it interesting. Hey, I’ve lived through plenty of difficult romances; why do I want to see that unpleasantness lived for me? This approximation of real life makes Days damned dull – when it’s not pretentious, that is. What’s with the fact that all its 20-something characters are so connected to the 80s? They listen to 80s music, discuss 80s TV shows and play 80s video games. Huh? Days wears other pretensions on its sleeve. It clearly wants to be its generation’s Graduate; in fact, it telegraphs this via the use of a Simon and Garfunkel song along with an actual scene from The Graduate! I guess that’s ballsy in a way, but it just reminds us how much better than 1967 classic is. In the end, I just can’t find much to like here. Days takes two likable actors and renders them moot. The story comes across as so slow and dull that it never shifts out of neutral. (500) Days of Summer appears in an aspect ratio of approximately 2.40:1 on this Blu-ray Disc. Though it lacked significant concerns, I thought the movie came with a less than stellar transfer. Sharpness became a minor concern. Much of the time, the film exhibited good clarity and delineation. However, some shots were a smidgen soft, and that inconsistency was a little distracting. No issues with jagged edges or shimmering occurred, and I noticed no edge enhancement. Print defects also failed to appear in this clean presentation. Days went with a low-key palette. This meant a lot of earth tones and not much that seemed more dynamic than that. This was fine given the film’s scope; the colors never exactly impressed, but they were perfectly adequate. Blacks looked dark and tight, while shadows exhibited nice clarity. Overall, this was a good presentation but not a great one. As for the film’s DTS-HD MA 5.1 soundtrack, it seemed perfectly acceptable for a character-based tale like this. Audio quality offered the most satisfying side. Speech was natural and crisp, without edginess or other issues. Music was a prominent aspect of the mix; the score and songs provide nice range and vivacity. Effects played a small role, but they were fine; they showed acceptable life and clarity. Don’t expect much from the subdued soundfield. Again, music was the major component; tunes and score used the side speakers in a good manner. Effects were a minor aspect of the package. They showed some decent environmental material but not much more; they fleshed out the sides and rears in a conservative fashion. Though this wasn’t an impressive mix, it served the film in an appropriate manner. Plenty of extras accompany the movie. We open with an audio commentary from director Marc Webb, writers Michael Weber and Scott Neustadter and actor Joseph Gordon-Levitt. All four sit together for this running, screen-specific look at cast and performances, characters and story, music, influences, and visual design. Expect a pretty good commentary here. The four participants mesh well, so no one dominates. They even argue a bit, which is always refreshing given the level of happy talk that usually pervades these tracks. We learn a fair amount about the movie and the commentary goes down smoothly. Nine Deleted and Extended Scenes fill a total of 14 minutes, 42 seconds. These include “Love Testimonials” (2:14), “’I Think We Should Stop Seeing Each Other’” (0:30), “Family Dinner (Day 11)” (0:52), “Paul Meets Summer” (1:52), “Tom and Summer Argue” (1:53), “Tom in the Movie Theater (Day 286)” (1:35), “The Worst Morning Ever” (1:05), “Tom Sees Summer Everywhere (Day 306)” (0:37), and “Date With Allison (Day 345)” (4:00). “Date”, “Movie”, “Testimonials”, “Meets” and some others provide minor extensions to existing scenes. In the exclusive segments, “Worst” offers the most interesting; it gives us a counterpoint to the musical number in the final flick, and it’s just as obnoxious as the scene in the finished picture. I can’t say that any of these would’ve done anything to make the movie better. We can view these with or without commentary from Webb, Weber, Neustadter and Gordon-Levitt. They give us some decent details about the scenes, though they’re not as informative as I’d like; only occasionally do they let us know why they dropped the various segments. The commentary adds a few good notes, but it’s not especially winning. For a look at the production, we go to Not a Love Story: Making (500) Days of Summer. In this 29-minute, 21-second piece, we hear from Webb, Weber, Neustadter, Gordon-Levitt, producers Mark Waters, Mason Novick and Jessica Tuchinsky, costume designer Hope Hanafin, production designer Laura Fox, director of photography Eric Steelberg, and actors Zooey Deschanel, and Geoffrey Arend. The show looks at the film’s script, story and development, Webb’s approach to the material, cast and performances, sets and locations, cinematography and costume design, and general thoughts about the production. Like the film itself, “Story” tends to take itself a little too seriously. Still, it covers the movie in a satisfying way. It doesn’t feel too redundant after the commentary, and it adds many good new details. We examine the flick’s release via the 13-minute, 46-second Summer at Sundance. It provides remarks from Webb, Gordon-Levitt, Deschanel and Weber as we see the film’s reception at the famous festival. For the first 10 minutes, Webb frets about how stressful the debut will be, and then he talks about how well it went. This never becomes an insightful or interesting program. Two Audition Tapes come next. We find clips for Matthew Gray Gubler (2:38) and Geoffrey Arend (4:23). I always enjoy this kind of test footage, so the clips prove useful. These can be watched with or without commentary from Webb. He talks about the casting process, why he chose these actors, and aspects of their performances. Webb provides a mix of nice thoughts about the clips. Within Storyboards, we get two segments. “Summer Effect” (1:36) shows our intro to her, while “Reality/Expectations” (1:55) shows that scene. We can see these simply as boards or as a boards/movie comparison. These let us check out the original concept and its ultimate execution. The disc presents these in a satisfying manner. Webb throws out more commentary along with the “Storyboards”. Actually, he provides two separate tracks with “Effect”; one covers “Characters” and the other goes over “The Look”. As usual, Webb gives us good insights. Next comes a music video from Webb entitled Bank Dance. It goes for four minutes, 18 seconds and stars Gordon-Levitt and Deschanel, though not in character – I guess. Without a commentary track, we don’t learn anything about the video, though Deschanel sings the song. It’s actually pretty entertaining; I like it more than the movie itself, though that doesn’t say much. Something strange show sup with Mean’s Cinemash: Sid and Nancy/(500) Days of Summer. In this clip, we see Deschanel as Sid and Gordon-Levitt as Nancy. Its existence makes some sense if you see Days, but that doesn’t make it any less weird. Still, it’s cool, in a freaky way. After this we get a Music Video for “Sweet Disposition” by the Temper Trap. Neither the song nor the video seem terribly impressive, but they’re not bad. At least this isn’t a standard “song from a movie” clip. Conversations with Zooey and Joseph lasts a total of 12 minutes, 26 seconds. This area includes six short reels that feature joint chats with Deschanel and Gordon-Levitt. They discuss their relationship, aspects of acting, Los Angeles, Karaoke, and music. Nothing fascinating appears in these fluffy clips, but they’re enjoyable enough. Under Filmmaking Specials, we see six programs. We get “Behind (500) Days: Director Marc Webb on Casting Joe and Zooey” (2:07),“Behind (500) Days: Director Marc Webb on the Summer Effect” (1:35),“Behind (500) Days: Director Marc Webb on French Film References” (0:58),“Behind (500) Days: Director Marc Webb on the Color Palette” (1:11), “Fox Movie Channel Presents In Character with Zooey Deschanel” (2:38) and “Fox Movie Channel Presents In Character with Joseph Gordon-Levitt” (3:08). Across these, we hear from Webb, Gordon-Levitt, and Deschanel. The pieces cover casting, visuals and influences, characters and performances. Most of the info here already appears everywhere, so we don’t get much from these short snippets. A few ads open the disc. We get clips for Post Grad, All About Steve, Whip It and Jennifer’s Body. The disc also includes promos for Amelia, Fame and Adam. No trailer for Days shows up here. I’m happy to see something that breaks with the romantic comedy norm, but (500) Days of Summer tries so hard to avoid conventions that it boxes itself in a corner. It creates its own tedious clichés in its self-conscious attempt to be Different and Quirky. The Blu-ray provides reasonably good picture and audio along with a nice collection of supplements. There’s nothing wrong with this release, but the movie itself is a disappointment.